The French armies, directed by the generals Moreau, Pichegru and Jourdan conquered the territory of the Austrian Netherlands in June 1794. The old guard fled to the east in advance of the troops. 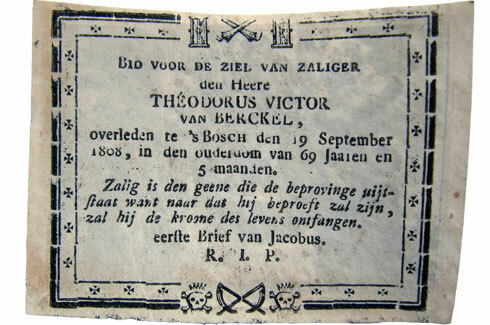 Van Berckel travelled together with the Brussels’ civil servants to Linz (Austria) while his wife and children returned to their home country. Van Berckel had been permitted to stay in Brussels and was even allowed a year in which to decided if he wanted to enter the employ of the French, but he declined (perhaps in loyalty to the Austrians ?). Anyway, Theodore van Berckel now entered a period in which he was constantly travelling throughout central Europe. When the advancing French armies, three years later, were even threatening Vienna, Van Berckel and all Brussels’ civil servants were ordered to move to Prague. Van Berckel requested and obtained permission to travel to Anholt in Westfalia, however, where his wife and children were waiting for him. Right the Wasserburg, residence of the Salm-Salm family. Van Berckel was still employed by the Austrians but little remained of his salary. He obtained unemployment benefit of only one third of his earnings in Brussels. He wrote a letter to the Viennese court on the 11th February 1798 in which he humbly requested to be employed as engraver in one of the Austrian mints. He mentioned that he was no longer able to profit from his profession and that his income had shrunk to the extent that he would, in time, be unable to provide for his family. In a letter from the Austrian court dated 22nd June 1798, Van Berckel was ordered to Vienna to start work there as chief engraver at the Viennese Mint. His family was ordered to accompany him. Van Berckel, however, opted to travel to Vienna by himself. 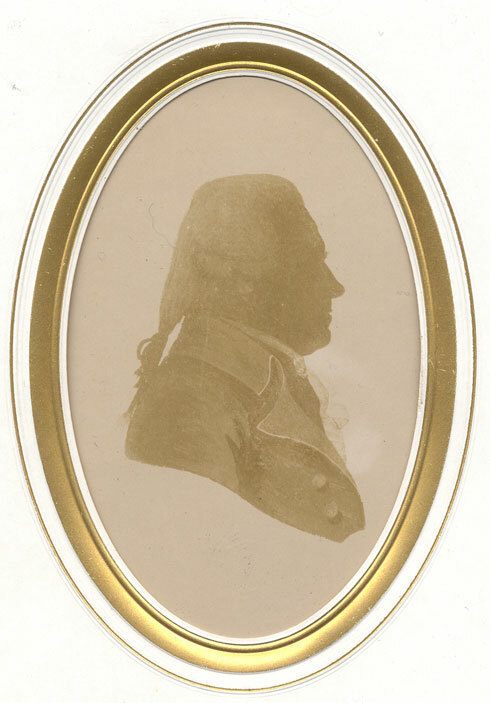 Silhouette of Theodore Victor van Berckel at an advanced age. His predecessor at the Viennese Mint, Johann Nepomuk Würth (1752-1811) was to be given another position and Van Berckel would take the vacated post. Unfortunately for Van Berckel, this did not happen. Van Berckel did get the position of engraver but Würth would retain the artistic control. 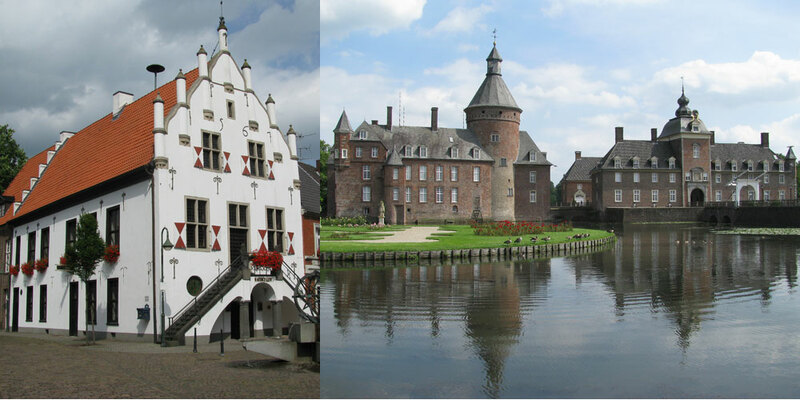 It is probable that Van Berckel’s function was almost entirely administrative and that his daily duty was restricted to getting his subordinates to produce dies for the coins. This type of die was made using a mother die. There was therefore no opportunity to have a personal input in this work. Van Berckel was very ill at ease with this situation and tried to address it in numerous correspondence with the imperial court. Without success. 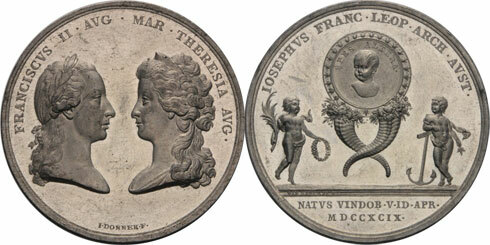 With the exception of one medal, there is nothing from this Austrian period that we can be sure is made by him. As far as is known, the reverse of this medal from 1799 is the last known work of Theodore Victor van Berckel. Collection: Huizinghe De Loet. Photo: Lei Lennaerts. Despite all of this, the Austrian authorities were very satisfied with him and were disposed to improve his position, but everything Van Berckel tried ran aground in the Viennese bureaucracy. From preserved correspondence from the period, it appears he became more and more embittered. He found his stay in Vienna, far away from his family, hard to bear. Whenever he was able, he made the long, arduous journey from Vienna to Anholt or 's-Hertogenbosch. 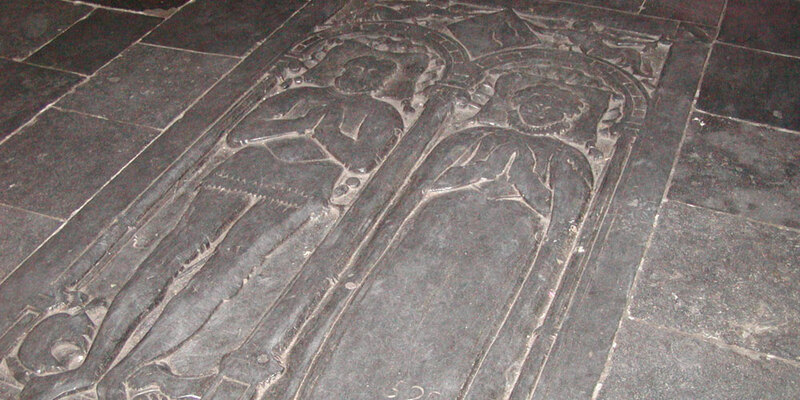 His wife Maria Anna Nouhuys died on the 3rd November 1802. That same winter Van Berckel fell ill. He suffered a serious eye infection, probably caused by a neglected cold, which prevented him from carrying out his profession any longer. 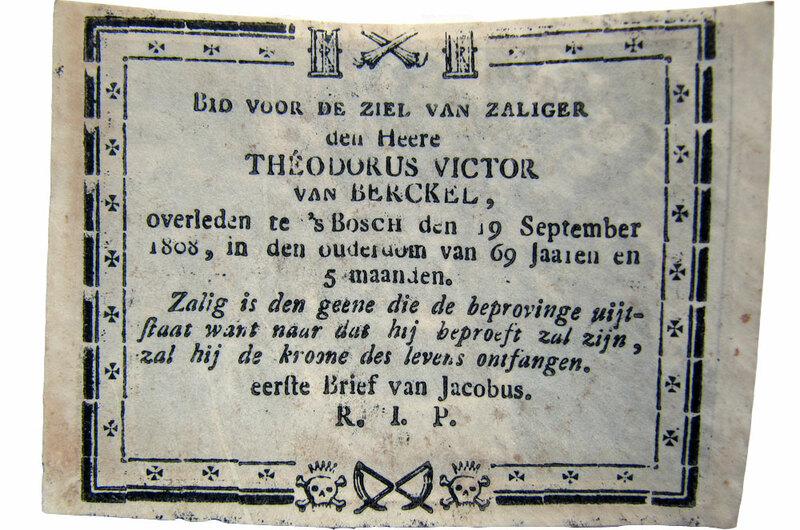 In that period he travelled half blind through Europe and settled temporarily, and later permanently, in his native city 's-Hertogenbosch, where he died on the 19th or 21st September 1808. Various sources are contradictory on this point. It is certain that the funeral took place on the 23rd September 1808. 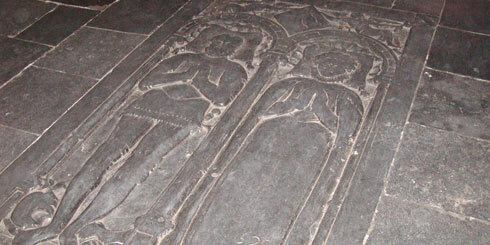 He was buried in the old family grave in St. Jan Cathedral in 's-Hertogenbosch.